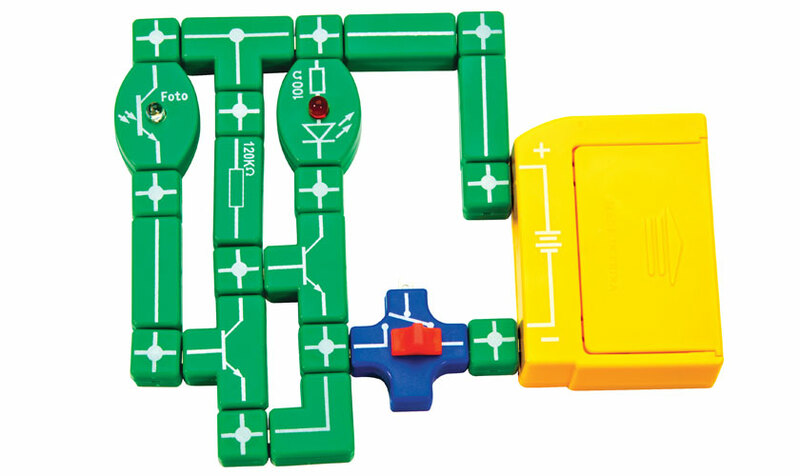 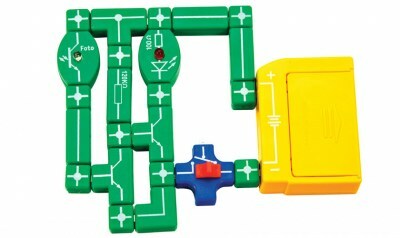 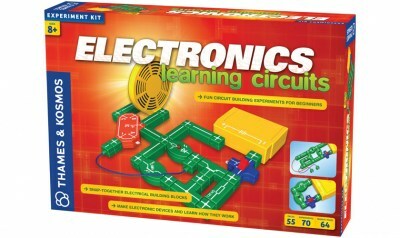 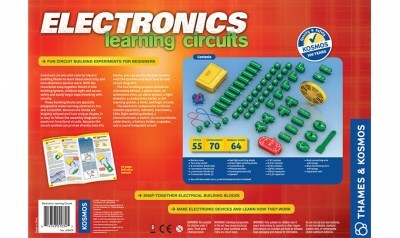 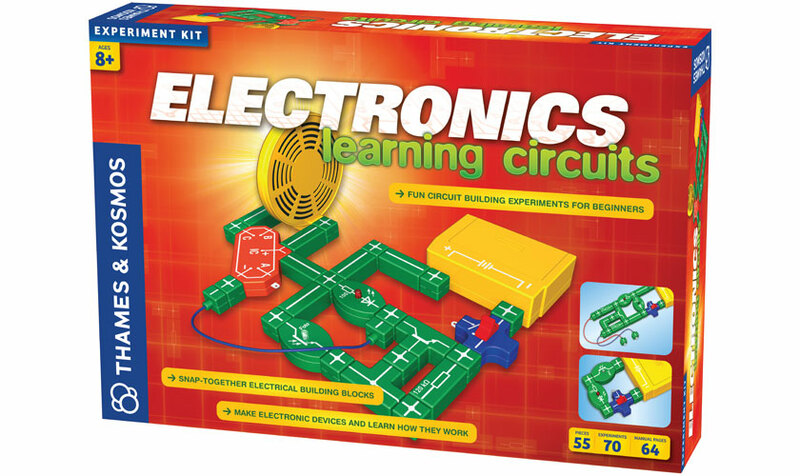 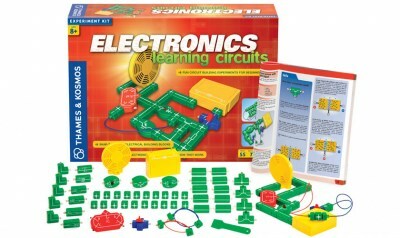 Construct circuits with colorful electric building blocks to learn about electricity and how electronic devices work. 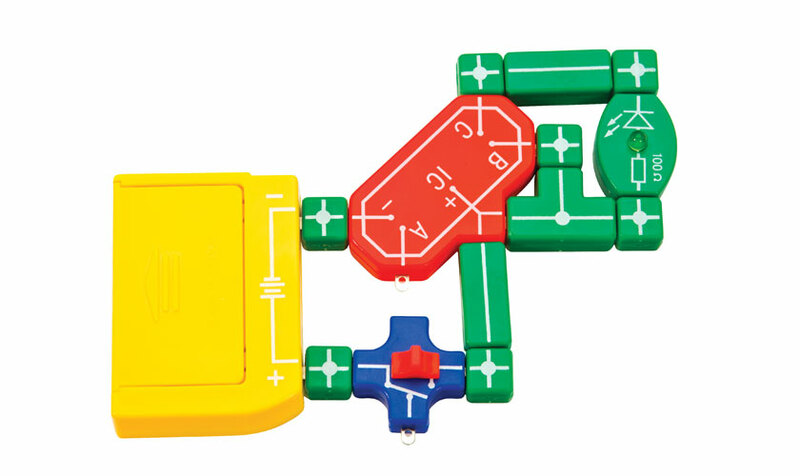 With the innovative snap-together blocks in the ElectronX building system, children eight and up can safely and easily begin experimenting with electronic circuits. 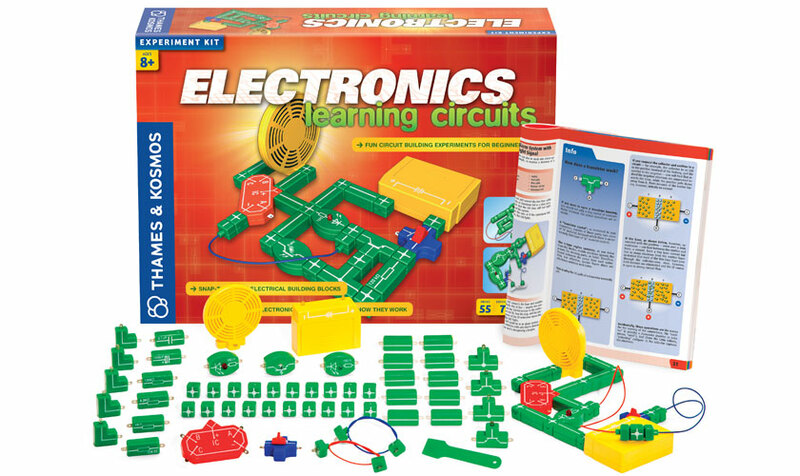 The electronic components in this kit include capacitors, resistors, transistors, LEDs (light emitting diodes), a phototransistor, a switch, 30 contact blocks, cable blocks, a battery holder, a speaker, and a sound integrated circuit. 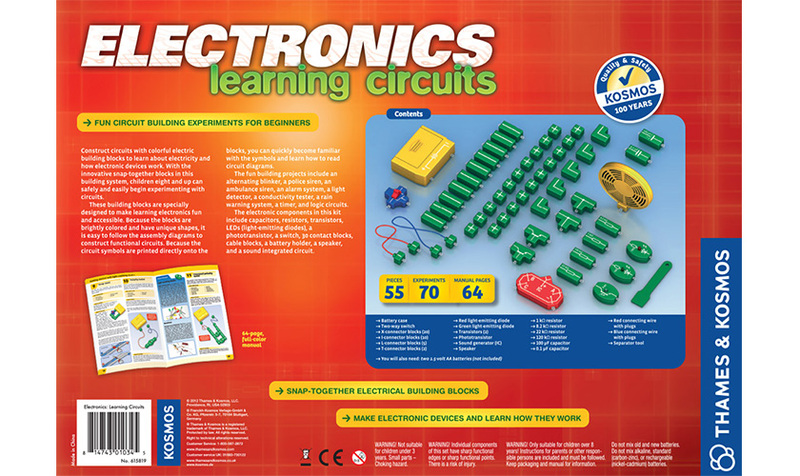 The 64-page, full-color experiment manual guides you through 70 circuit building experiments with easy-to-follow diagrams.